Man today is in flight from thinking. This flight-from-thought is the ground of thoughtlessness. But part of this flight is that man will neither see nor admit it. Man today will even flatly deny this flight from thinking. He will assert the opposite. He will say—and quite rightly—that there were at no time such far-reaching plans, so many inquiries in so many areas, research carried on as passionately as today. Of course. And this display of ingenuity and deliberation has its own great usefulness. Such thought remains indispensable. But—it also remains true that it is thinking of a special kind. Technology imperiously commandeers our most important terminology. It redefines “freedom,” “truth,” “intelligence,” “fact,” “wisdom,” “memory,” “history,”—all the words we live by. And it does not pause to tell us. And we do not pause to ask. Could there be something in the kind of thought that compels us to “pause to ask” that we are afraid may require more of us as people than we are willing to give? By pausing to ask are we not in danger of hearing something we may not want to hear? Something that may call on us to give—not just our time—but our souls: our care, our concern, our passion? And perhaps even more than this, our willingness to change in the face of those things we might see in ourselves—those realizations we might come to when we pause long enough, not just to still our bodies, but to also still our minds and hearts? Are we perhaps afraid of something within ourselves, something we are not sure we are ready to give up and so are not sure we want to face? If so, then the problem with reflection is not technical at all, but spiritual. 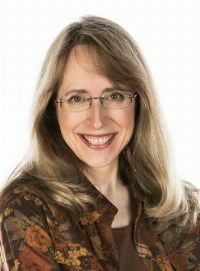 Jane Birch graduated from Brigham Young University with a BA in History and a PhD in Instructional Science. She currently serves as Assistant Director for Faculty Development at the BYU Faculty Center. She supports the amazing faculty at BYU in their efforts to combine religious faith with their professional responsibilities in teaching, scholarship and citizenship.